The Iron Hippie went with me for moral support…thank you!! When we arrived at the race site, I checked in, was given my race number and warmed up by riding the TT course to familiarize myself with the terrain, potholes (there weren’t many) and the winds. As we headed south out of town, there was a very nice tailwind to start, but at the turn around point, that tailwind reared its ugly head and became a brutal headwind. Because this was just a warm-up, I settled in without pushing the pace, kept my heart rate and power low and just spun the legs at a higher cadence. With plenty of time before I would start racing, I was hopeful the winds would die down a bit. #24: There aren’t many people here tonight. Me: Oh yeah? This is my first time trial, so I wouldn’t know. #24: This is only my 2nd one, so I don’t really know what I’m talking about. Me: Well, you know more than me. #24: With a bike like that, you don’t race? Me: I race triathlon, but I decided to give the time trial a go. #24: Oh. Are you doing the Hy Vee Triathlon? Me: No. I have a larger race the following weekend. #24: What race are you doing? Me: I don’t know about that. Have a great race! As I approached the start line, I was really nervous that the starter would drop me, but I had nothing to worry about!! 10, 9, 8, 7, 6, 5, 4, 3, 2, 1…Here I go!! I love to ride my bicycle! I love the wind at my back! I’m going to catch #24! Come on legs…don’t fail me now! Fun Factor: A.M.A.Z.I.N.G. Cha Ching!! Have you ever tried something new and found out you truly love it? If so, what was it? 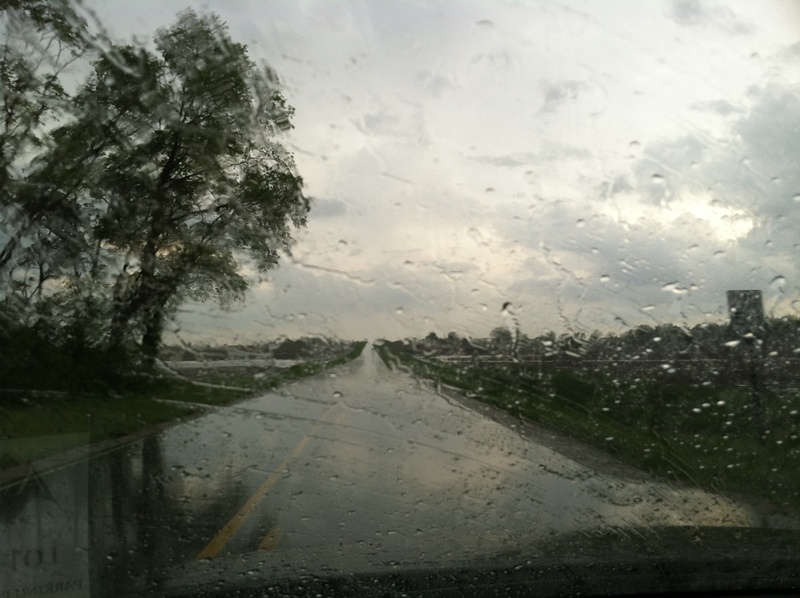 We have had some ridiculous weather in Central Iowa in the last couple of weeks that has not cooperated with my triathlon training. A few weeks ago we had drought conditions, but that has quickly changed to flooding. In the intermittent weeks, there were MANY windy days…Oh, the relentless wind. 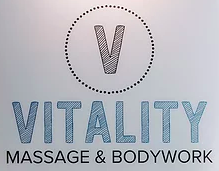 Some people may not pay as much attention to the weather and scoff at the relentless wind, but as a triathlete, I enjoy the opportunity to get outside and complete my workouts safely. 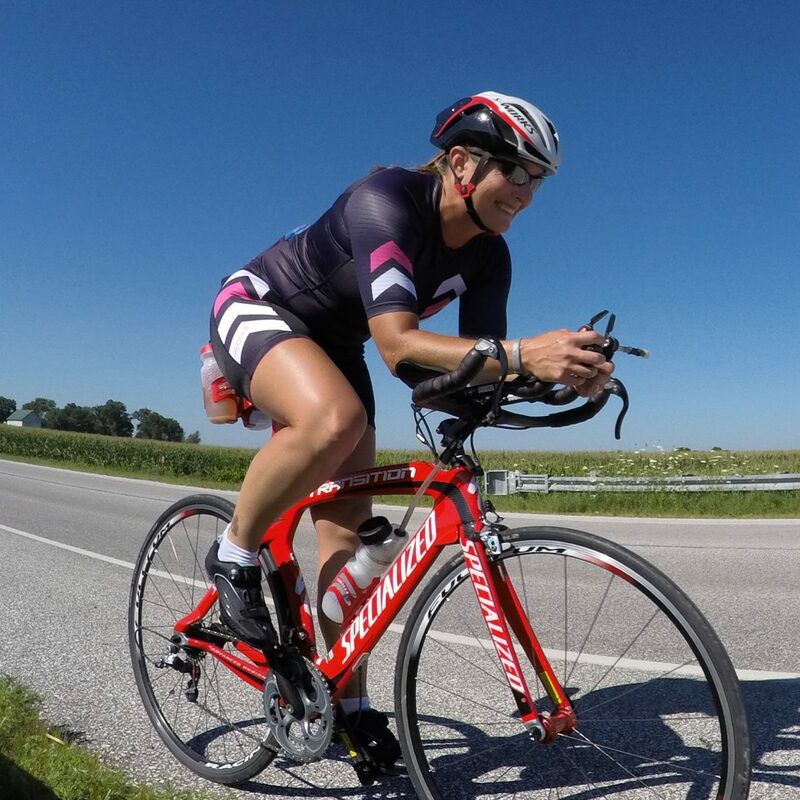 When every bike ride I do pounds wind in my face, I have one of two choices…gain mental strength from the challenge I’m faced with or mentally break down. I choose to accept the wind as a challenge that is going to make me stronger. This relentless wind has helped me improve my physical strength and mental strength. I have had to alter how I’ve completed some of my workouts due to the extreme weather, but that has only added to the mental strength I have gained. I knew there were storms in the forecast for later in the day, so I got out early to complete my triple brick. 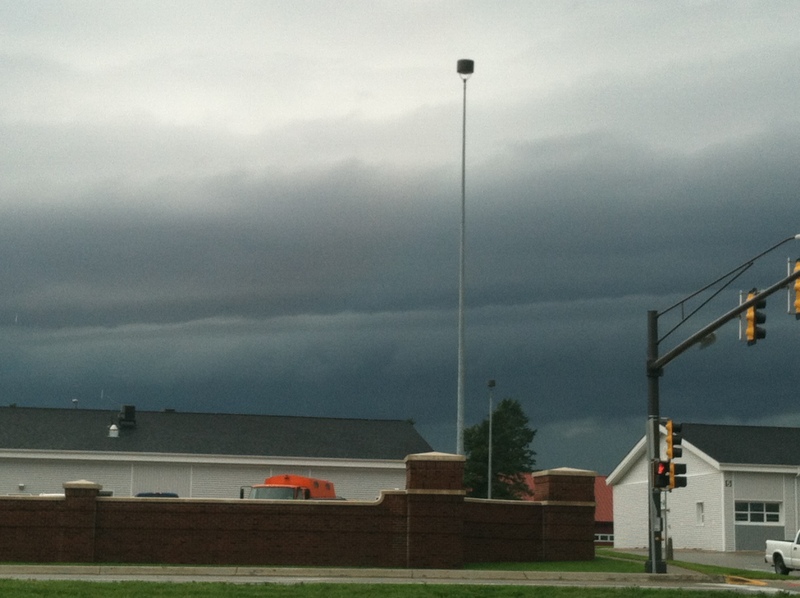 Those storms did eventually show up and boy was I glad to have my workout complete when they did!! 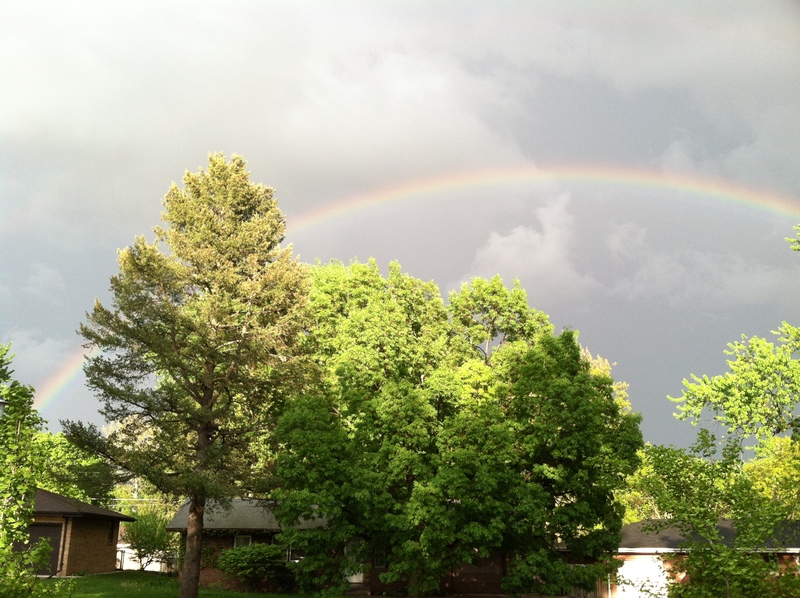 After part of the storm had pushed through the area. I was suppose to complete a dress rehearsal for my upcoming race, but I pushed it back to Sunday due to the severe weather. Instead, I did Sunday’s workouts…swim in the pool and run on the treadmill. I had to go to the gym to swim in the pool for my race day dress rehearsal since there was thunder and lightening in the area. I was hoping that the weather would clear up enough for me to ride outside while I was swimming indoors, but no such luck!! 😦 Instead I had to hook my bicycle up to the trainer in the basement and ride in my own head for 2 hours at race pace. While I rode in the basement, the weather did clear up enough for me to complete my dress rehearsal with an outdoor run. I ran for one hour at an average pace of 8:42…I felt really good and strong 🙂 This was a huge mental boost for race day!! 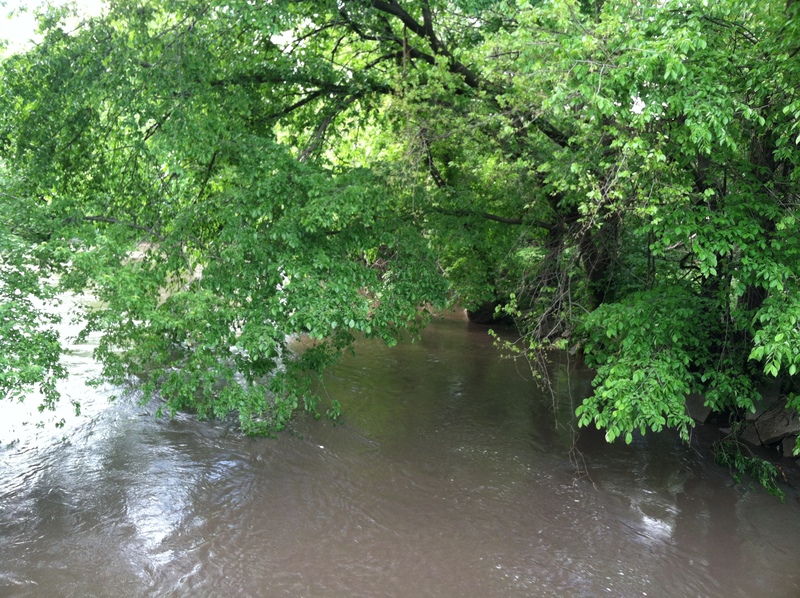 The weather over the weekend did lead to some flooding in Ames…so much for that drought from a couple of weeks ago!! I am hoping that this ridiculous weather is nearing an end and that I have near perfect conditions for race day!! On Monday’s bike ride, I had a few encounters with motorists that made me really aware of just how many motorists are not fans of cyclists riding on the roads. As cyclists, we do have every right to be on the roads just like motor vehicles. Please don’t mistake us for the commuter who doesn’t abide by the traffic laws and irritates you to the point you decide to take it out on anyone who rides a bicycle. Encounter #1: I was sitting at a red light in Ames, following the traffic laws, when a motorcyclist went around me on the left to turn right on red. I said to him, “You need to follow the rules of the road just like I do.” He responded with vulgar, inappropriate language and drove off. Encounter #2: As I was coming down a hill toward an intersection (that had NO stop signs for anyone in either direction), a vehicle to my left approached the intersection at the same time and we nearly collided (I left a skid mark on the pavement from my rear tire as I cam to an abrupt stop). We both came to a complete stop and I waited for the vehicle to pass before continuing forward. In this encounter, neither party was really in the wrong since the intersection is void of stop signs. I decided to play it safe and wait for the vehicle to pass through the intersection since I don’t have the vehicle protecting me. Encounter #3: I was getting ready to make a left hand turn, which I signaled with my left arm extended straight out, after having looked behind me for approaching traffic. Since the nearest vehicle was quite a ways back, I moved far enough to the left in my lane to prevent people from passing me, so I was ready to make that left hand turn. Seconds before turning left, a motorcycle passed me on my left and proceeded to turn left (heading the same direction I was getting ready to go). While I’m not sure if this maneuver was illegal, it was definitely inconsiderate. When motorists put my life in danger because of poor decisions on their part and maneuvers which are illegal, I get frustrated. I have no protection…other than my thick skin, which is really thick, but not thick enough to save my life when I encounter a motorist while on my bicycle. 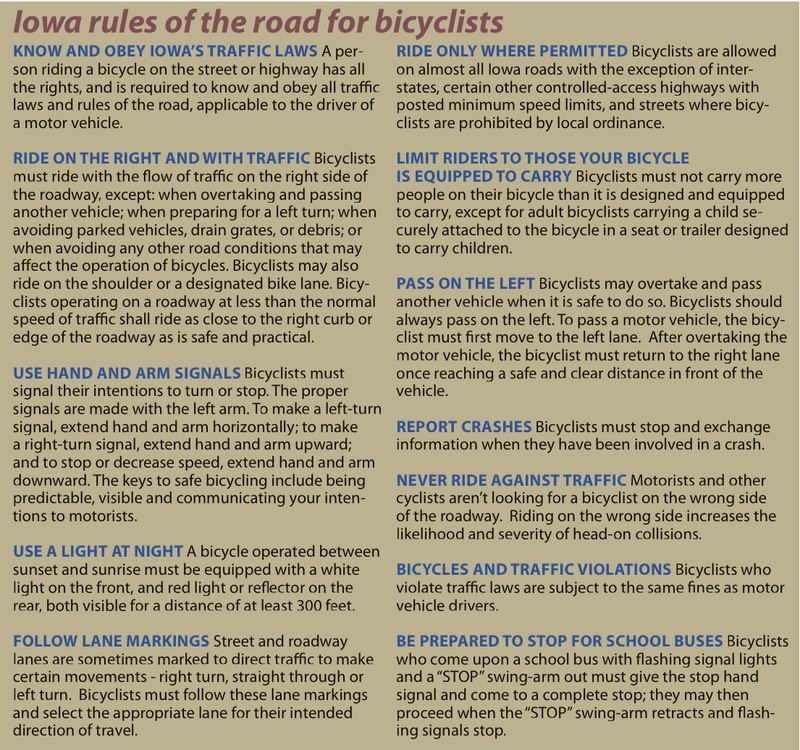 I respect motorists and follow all of the rules of the road while cycling…the same that I do while driving. As a cyclist on the roads, I would appreciate motorists showing me the same respect and also follow the rules of the road. 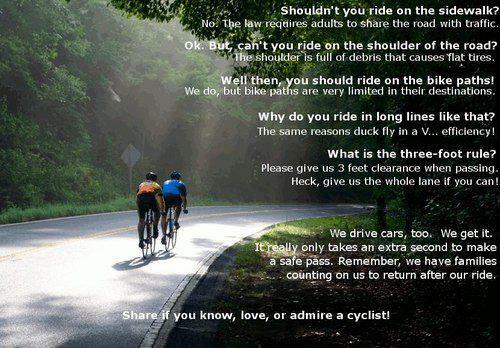 To those motorists and cyclists who are respectful and do follow the rules of the road…Thank you!! 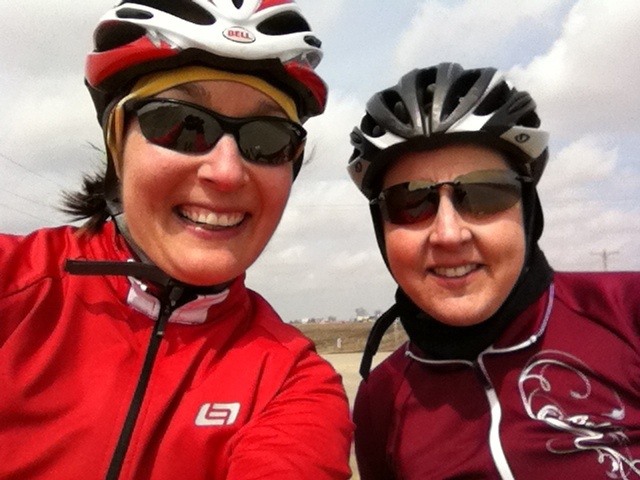 This last Sunday we went outdoors for our bicycle ride. This may not be a new phenomena for some of you, but for those of us who live in Iowa, we are really tired of riding our bicycles on the trainers in the basement. We have been in the basement since late October, so it is definitely time to get off the trainer and get outside!! I had a brick scheduled for Sunday…ride a hilly route for 2 hours and then follow that up with an easy 20 minute run. 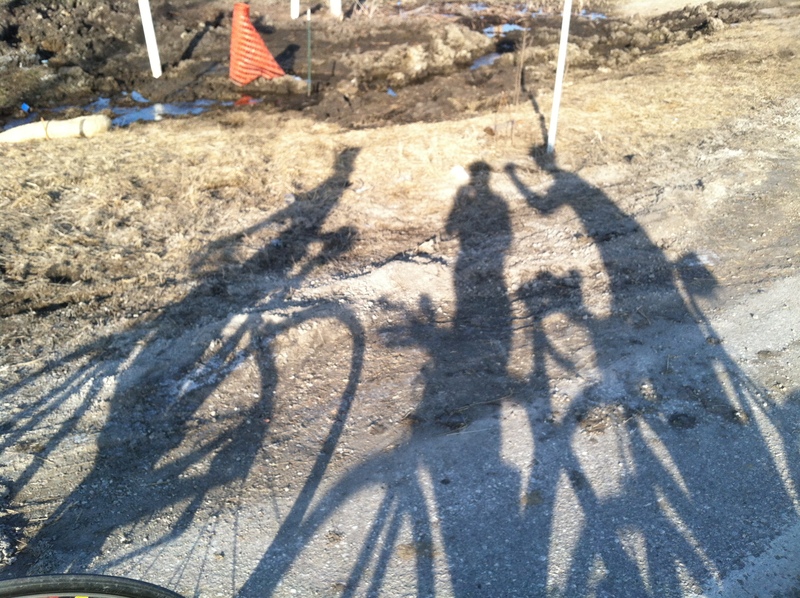 The shadows of three amazing riders…Kris, me and my husband. As I approached the stop sign, I yelled to Kris, “I’m going to the farmhouse on the top of the first hill on E18, then turning around.” Kris responded with, “Ok I’m with you.” As I turned back to the west, that crosswind was back and my private conversation continued… “Kiss Me Harder…I WILL finish this…Kiss ME Harder…I WILL FINISH this…KISS ME HARDER…I WILL FINISH THIS!! YAY…WE MADE IT!! !” It took us 1 hour and 17 minutes to get to the turn around point…14.78 miles. Though there weren’t many hills on this route, the headwinds and crosswinds posed enough of a challenge that I wasn’t too concerned about the lack of hills. We made it to the turn around point!! Now for the return trip home… “This is why we were pushing so hard on the way out…it feels awesome with that wind at my back…KISS ME HARDER…Oh my…I’m going 25 mph without even trying…KISS ME HARDER…Let’s see just how fast I can go…30.4 mph with no more gears to upshift to…KISS ME HARDER…Let’s go faster…KISS ME HARDER! !” It only took 46 minutes to go back the 14.78 miles home. Now for the run portion of my brick…KISS ME HARDER!!! 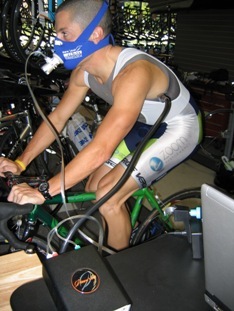 Yesterday I had my VO2 Max Test done for 2013. Unfortunately, numbers don’t lie. Last year wasn’t my most successful year in terms of training and racing. I definitely had a lull in completing my workouts and racing after crossing the finish line at Ironman Wisconsin in 2011. Another Zoom Performance Athlete completing his VO2 Max test. From a coach’s perspective, there is some very useful information that can be used for the athlete to get stronger, faster and more efficient in both training and racing. The VO2 Max test gives an athlete and their coach the following pieces of information: Aerobic Threshold (AT), Lactate Threshold (LT), VO2 Max and heart rate (HR) zones. At aerobic threshold (AT), the athlete is competing at an intensity where the muscles are recruiting the slow-twitch muscle fibers. This is the optimal intensity for endurance training. Athletes who train and race at their aerobic threshold will be much more efficient, enabling increased training volume as well as greater frequency and better quality speed workouts. Lactate threshold (LT) is when the athlete is working at their highest intensity where the body can recycle lactic acid as quickly as it is produced. If the athlete speeds up just above LT, the athlete can no longer recycle the lactic acid as quickly as it is produced. This is when lactic acid accumulates and starts to cause muscle fatigue and damage. 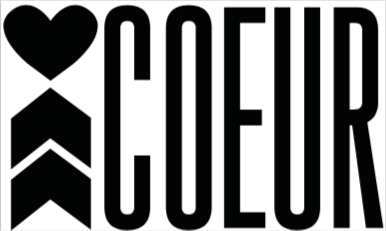 VO2 Max is the volume of oxygen that an athlete uses during one minute of maximal exercise. My HR numbers have not changed much from last year, but there were definite changes in my max power output, power output at LT and VO2 at AT from years past to this year. My 2013 numbers were directly related to my run focus lately and not as much on my cycling. This test is proof that I have some work to do on the bike before Ironman Wisconsin 2014! !